Plymouth Industrial REIT is managed by a seasoned executive team and Board of Directors, members of whom average more than 25 years of experience in commercial real estate. Headquartered in Boston, with assets located in multiple markets, the Plymouth team is ideally positioned to pursue investments throughout the United States. Daniel C. Wright is an Executive Vice President and the Chief Financial Officer of our company, and has held those positions since May 2014. He is responsible for the financial performance, compliance and regulatory reporting. Mr. Wright has more than 30 years of significant accounting and financial reporting experience within the real estate industry. Prior to joining Plymouth, he was a principal with Carleton Advisory Group where he was responsible for providing financial and operational expertise to commercial real estate and hospitality investment firms. From 2005 through 2009, he was the CFO at Pyramid Advisors in Boston where he directed the financial and legal operations across an $8 Billion portfolio of properties and 7,600 employees. While at Pyramid he provided leadership and oversight to 9 financial executives and was additionally responsible for the placement of over $1.5 Billion of securitized debt. From 1999 to 2005, Mr. Wright was the CFO at Prism Venture Partners where he managed the financial and legal affairs of the company. Assets under management grew from $150 Million to over $1 Billion in 40 separate investments under his tenure. From 1995 to 1999 he was the CFO for Leggat McCall Properties in Boston, where he responsible for the financial performance of the firm. From 1982 to 1995, Mr. Wright was affiliated with Sheraton Hotels where he held several successive positions including Internal Audit Director, Director of of Strategic Projects and Planning, and Director of Corporate Development. Additionally he was the Senior Vice President and Division Controller of the Pacific Division based in Honolulu, Hawaii, where he managed the financial operations across 6 countries. Mr. Wright holds a BSBA from Babson College and a Juris Doctorate from Suffolk University Law School. He is a former CPA, a member of the Massachusetts Bar, the Massachusetts Society of Public Accountants, and the American Institute of Certified Public Accountants. He is on the board of directors of the Walker Home and a member of the school finance committee. 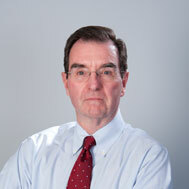 James M. Connolly is a Senior Vice President. 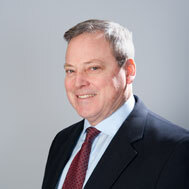 He has served as the Director of Asset Management since May 2011. As such he has direct responsibility for overseeing the on-going operating activities of our properties. 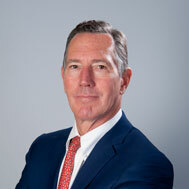 Mr. Connolly is an experienced real estate asset management executive with a significant background in property level and portfolio wide operations. From 1998 to May 2011, Mr. Connolly was employed with Nortel Corporation, where he held positions as Global Leader Real Estate Asset Management from 1998 through December 2003, Director of Real Estate Finance from January 2004 through December 2008, Director of Real Estate for Europe, Middle East and Africa from December 2008 through March 2009, and Director of Real Estate Asset Management from April 2009 through May 2011. 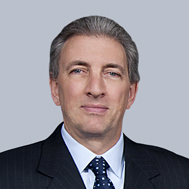 His responsibilities included asset, property and facilities management functions across Nortel's global portfolio of office, industrial, and distribution properties. In addition, he managed internal and external personnel on a national and global basis. Prior to Nortel, Mr. Connolly was affiliated with Bay Networks from 1996 to 1998 and Raytheon from 1986 to 1996 where his responsibilities with those companies included facility finance and property administration. Mr. Connolly holds a BSBA from the University of Massachusetts and an MBA in Real Estate Financial Management from Northeastern University, and is a member of several real estate organizations including NAIOP. Anne Hayward, is a Senior Vice President and is the General Counsel of our company and has served in these positions since March 2011. Ms. Hayward is responsible for the overall legal operations and compliance of our company. Ms. Hayward has more than 30 years of experience in the practice of law, specializing in project finance, securities, and real estate transactional matters. She has structured and documented a wide variety of complex commercial transactions and public and private equity and debt securities offerings. Prior to joining Plymouth, from November 2007 through February 2011 she was General Counsel at Shane & Associates, Ltd., a Boston-based privately held real estate development and management company. Prior thereto, from April 2004 to November 2007 she was employed by Atlantic Exchange Company, an I.R.C. Section 1031 exchange accommodator. From 2001 to 2004, Ms. Hayward served as Senior Counsel at Holland & Knight LLP, representing large corporate clients such as GMAC in structuring tax credit transactions and real estate development projects. 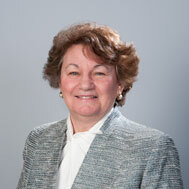 From 1997 to 2001, Ms. Hayward was senior counsel at BankBoston, NA representing the bank's asset based financing subsidiary. From 1993 to 1997, Ms. Hayward was Associate General Counsel at American Finance Group, a Boston-based general equipment leasing company. From 1985 to 1993, Ms. Hayward was corporate/securities counsel at CSA Financial Corp., an equipment lease finance company concentrating in high technology assets. From 1976 to 1985 Ms. Hayward was an Associate at Gaston & Snow representing firm clients, such as brokerage firms and issuers, such as Shearson and Fidelity Investments in '33 Act, '34 Act and '40 Act product structuring and compliance matters. Ms. Hayward is a graduate of Skidmore College and New England School of Law. She holds FINRA Series 22 and 63 licenses, is a licensed real estate broker, and is a member of the Massachusetts and Federal District Court Bars.